Illustration — Bjork Design Co.
At Bjork Design Co. we offer custom illustrations in a wide variety of styles suitable for use by graphic designers, businesses and anyone else looking for custom illustrated elements or artwork! We also offer fine art illustrations and paintings for any occasion. 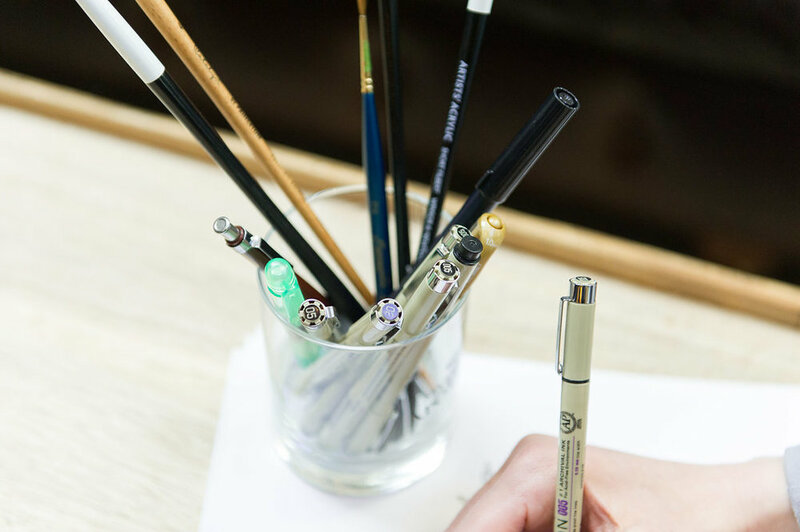 Our specialties include line drawing, digital illustration (Adobe Illustrator and Photoshop), watercolor, and acrylic painting. Check out some of the artwork we've created in the past! After providing a few different border options for this ornate wedding invitation, designer Lauren DeFilippo and her client selected this gorgeous framework illustration inspired by Baroque detailed metalwork and molding. Lauren commissioned this illustration from Bjork Design Co. to incorporate within her designs. View the detailed linework and original illustrations below. Designer Lauren DeFilippo commissioned us to create illustrations to include in her logo design for Cucina della Terra. We presented 2 variations in style and layout. The final illustrations are hand drawn using Micron pens and scanned at a high resolution for the digitization process. 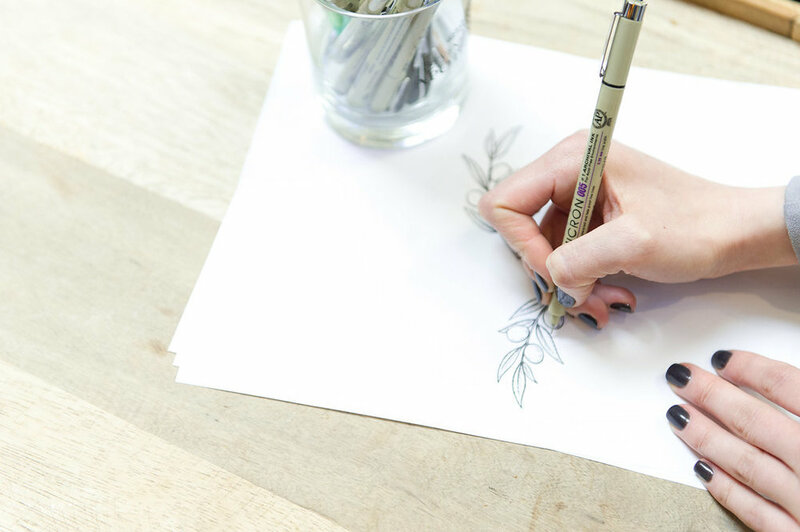 All hand drawn pen illustrations are saved in a usable format to allow for easy resizing and color changes! 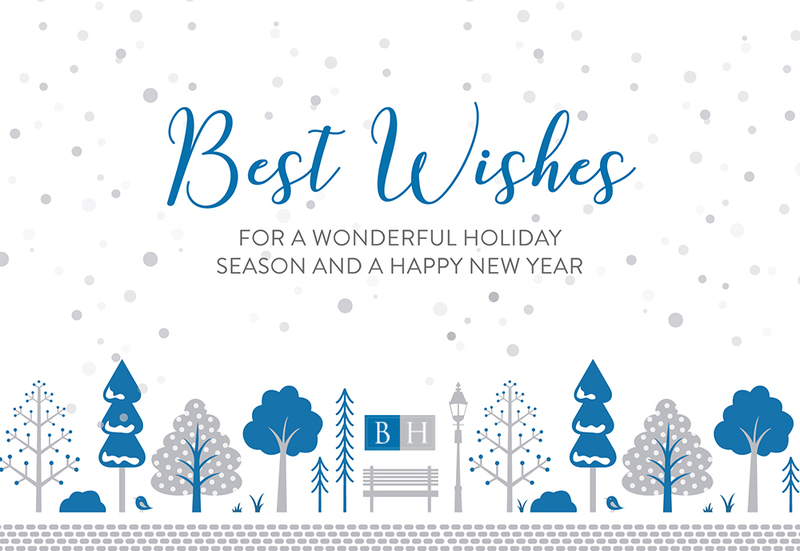 Looking for clean and consistent vector artwork, designer Lauren DeFilippo hired us to create illustrations to use within her postcard and greeting card designs for Beacon Hill Staffing Group. Under the direction of Lauren, we particularly enjoyed working with these simplified shapes and color palette! Each illustration is unique, yet the style remains consistent within their branding. All vector illustrations are provided in a fully editable format for use within any design! St. Anthony's Hospital Foundation contacted us to create illustrations in commemoration of their 35th Annual Triathlon. We created 3 unique designs to be printed on event T-Shirts. Using their existing logo, colors to complement their brand, and a bold vector illustration style, these designs incorporate all the elements of a triathlon with a nod to sunny Florida. We presented 4 initial concepts and St. Anthony's selected and refined their favorites from there. As a professional design studio, we're always open to feedback from our clients! Our goal is to bring your vision to life! When designing a moving announcement for the Institute of Culinary Education, Lauren DeFilippo commissioned us for help creating a fun and eye-catching illustration. Depicting their move from upper to lower Manhattan, with the city skyline in the background we used their brand colors and kitchen themed illustrations to make the announcement pop! Commissioned by and under the art direction of designer Lauren DeFilippo, we helped create imagery for the Touristes CD, a collaboration between Vieux Farka Touré and Julia Easterlin. Combined from multiple images to reflect their unique styles, backgrounds and themes of nature, this album artwork truly matches the beautiful music within. Have we mentioned our Photoshop skills? We are well-versed in photo retouching, digital painting and creating composite images. 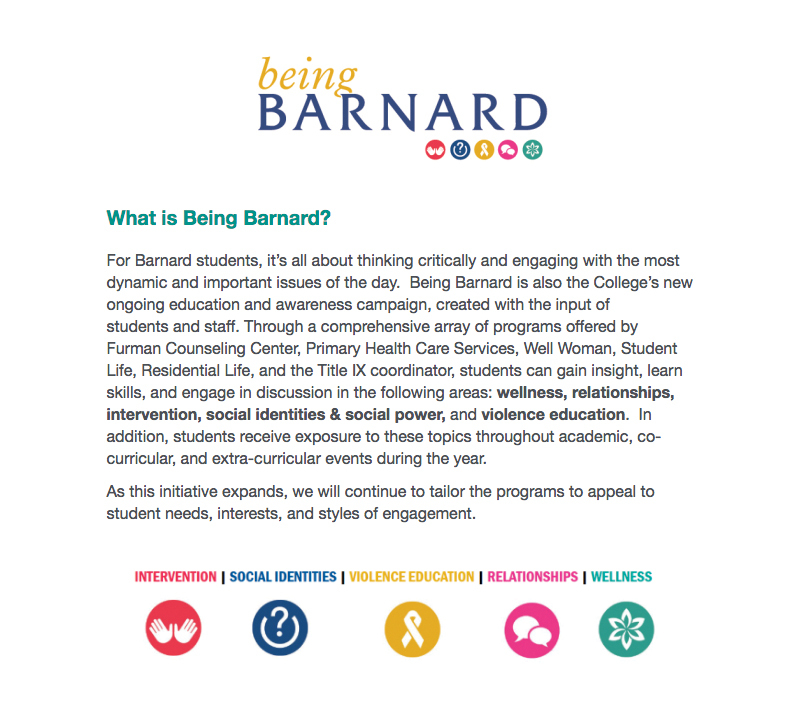 Being Barnard is Barnard College’s ongoing, holistic social education and violence awareness initiative created with the input of students and staff. When Lauren DeFilippo contacted us to create icons representing each of their social areas, we focused on creating unique and simplified illustrations to be easily recognizable at any size. In vector format, these icons were created in black and white for Lauren to change to any color within her designs. We love working with fellow graphic designers and creatives! At Bjork Design Co., we are all about community over competition. After working together with Lauren DeFilippo in New York City, we have since developed a great working relationship! She occasionally hires Bjork Design Co. for illustrations to use within her designs. Lauren is incredibly talented, professional, easy to work with, and we are constantly amazed by the designs she comes up with using our illustrations! We created this brain icon for her to use within her company logo.